If you are currently planning a family holiday away, why not consider taking a trip to Disneyland Paris? Not only is it a magical place to visit, but it is also excellent value for money. Once you have paid for your tickets, all of the rides and entertainment are included in the price. No matter how old you are, you are sure to love Disneyland Paris as there really is something for everyone to enjoy. 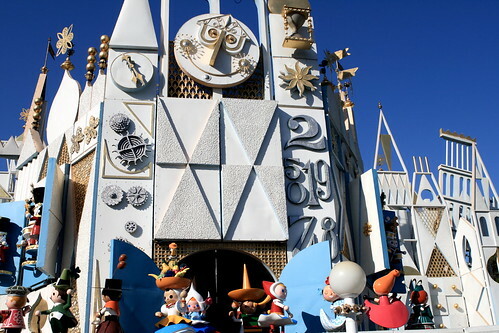 It’s A Small World is a ride suitable for small children. In this magical land you will not be short of things to do and you will certainly never hear the words ‘I’m bored’ from your children. Although not all of the rides at Disneyland Paris are suitable for little ones, there are plenty that are. One of the most popular is called ‘It’s a small world.’ This is a family friendly musical tour which takes you on a peaceful cruise. Make sure you are ready to sing along with the characters! Another popular ride for small children is the ‘Buzz Lightyear Laser Blast.’ Your little ones will get to sit in a star cruiser that spins round in a circle whilst they blast their enemies to gain points. As the name suggests, the ride is based on the film Toy Story. As well as going on the rides, your children may also want to meet some of their favourite Disney characters. Different characters can be found at various points throughout the park. Along with getting to meet the characters, children can also have their photo taken with them and get a special autograph which they are sure to treasure for ever. Are you a thrill seeker? Scare yourself silly on the Space Mountain 2 ride. If you thought Disneyland Paris was just for kids, then I am afraid you have been misinformed! Disneyland Paris has so much to offer older children and adults, especially those who also happen to be thrill seekers. 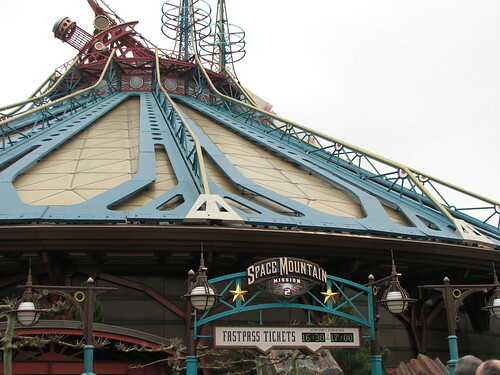 Two of the most popular fast thrill rides are Space Mountain 2 and Big Thunder Mountain. Space Mountain 2 is suitable for children over the age of ten and involves being blasted out of a super charged canon! Big Thunder Mountain is a runaway mine train that takes you on a journey with twists, turns and big unexpected plunges. Disneyland Paris is totally free from discrimination, which is great for visitors of all races and ethnic origins; the Park has won awards for its anti-discrimination policies. If you or someone in the group you are travelling with does not like rides, there is no need to panic! There are plenty of other things to do within the parks. The Walt Disney Studios Park has lots of exhibitions and theatre shows for you to watch and enjoy. The CineMagique is probably the best place on earth to watch a Disney film and there are also tram tours for those who want to see the sights. If you fancy doing a spot of shopping or are in need of a much needed sit down and bite to eat then visit the Disney Village where you will find a number of shops, restaurants and bars. There are also regular shows to keep you entertained whilst you are enjoying your meal. If you want to benefit from a few extra hours on your favourite Disney rides, then stay in a hotel onsite. Disneyland Paris opens up the rides for people staying in the park earlier, so they can enjoy themselves without all of the hour long queues. Another way to avoid some of the lengthy queues on the most popular rides is to obtain fast pass tickets. These tickets give you an allocated time in which you can queue up for a ride. The queues are much shorter, meaning you can get on your favourite ride quicker! It is also a good idea to queue up for popular rides whilst parades are on (providing that you have already watched the parade). Whether you are a family with small children or adults seeking a nostalgic thrill, Disneyland Paris is the epitome of fun for all the family.